I don’t think it’s necessary to use the word picky in front of toddler because being a toddler means being curious about everything, which in turn produces finicky, emotional little people. Just read this post. After age one, I guess this switch goes off, and they begin to question everything, including that yucky, orange stuff mom is trying to feed me! I’m referring to carrots. I have no idea when my twins stopped liking them. 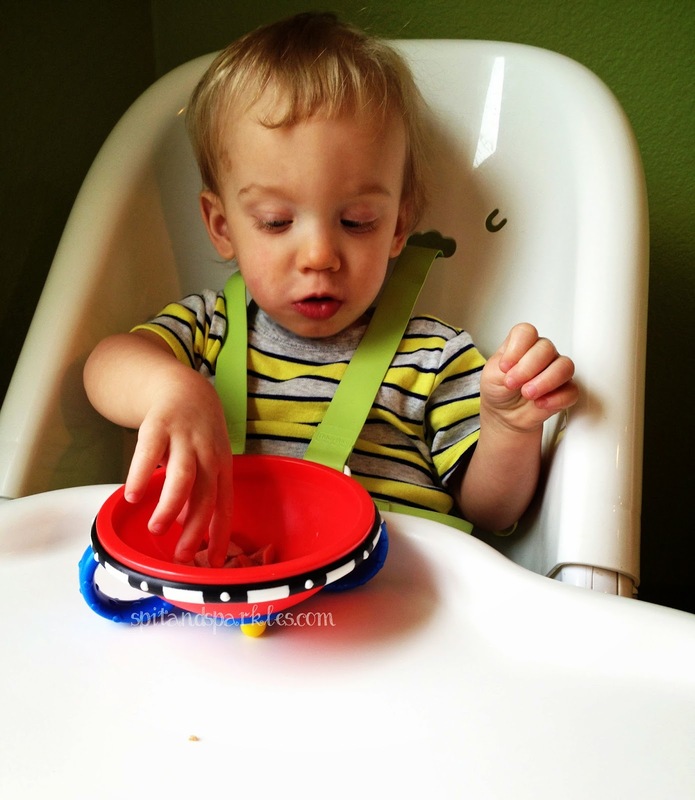 They eat them in their baby food pouch purees often, but throw some steamed chunks on their highchair trays and you would think I am trying to feed them garbage! This also happens quite often with anything meat related- scrambled eggs, ground beef, shredded chicken, hot dogs, etc. Corbin is pretty good about trying the food at least, but Lynley decides instantly upon seeing said food that she does not want anything to do with it. She’s a sassy, little thing too, (I don’t know where she got that!) and will shake her head no and wave her hand at me. It’s takes some trickery to get her to eat anything other than fruit, cheese and bread. 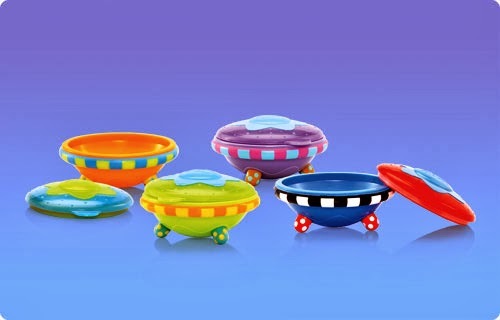 My latest trick is an awesome bowl from Nuby, called the Wacky Ware bowl. This bowl was designed to put the fun back into feeding. It’s made from tough, durable materials in bright colors and designs making it perfect for your toddler. The microwave-safe dish is fun and functional to use and has a lid that seals tightly to store food and prevent spills. For lunch this week, I cut up a turkey hot dog to feed Corbin and Lynley. I put half of the meat in the bowl for Corbin and the other half in the bowl lid for Lynley. They devoured it! I just discovered that Lynley likes eating food from Tupperware lids, not plates- lids! It’s the strangest thing, but it works, and this bowl set is no different. They both absolutely loved eating from the colorful dishes.To be sure that this was not a fluke, I put some black beans in the bowl after they finished the meat and fed them with a spoon from the bowl. Cue the praise band… THEY ATE IT!! Ok, only about four spoonfuls each, but this is progress, friends! 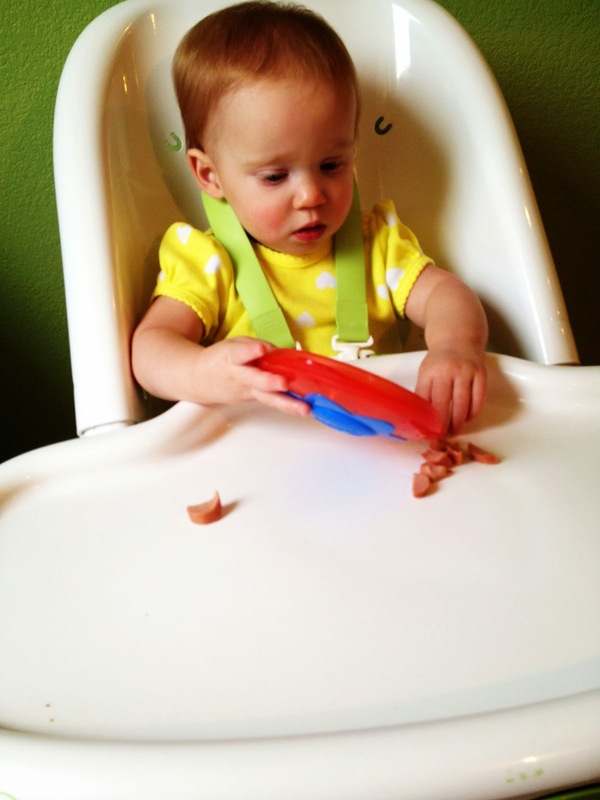 Please go out and buy your own Nuby Wacky Ware bowl if you are struggling with feeding your toddler. It’s a game changer! You can buy them at Ross Dress for Less and DD’s Discounts. Our other Nuby product reviews on the flex-straw cups/utensil travel set and grooming set can be found here and here. Connect with Nuby via Facebook, Twitter, Instagram and Pinterest. I received products free of charge for review purposes. I received no other compensation, and all opinions are 100 percent my own. I only promote and support products and companies that I believe in. Getting toddlers to eat is the worst!